Why Should I Get B12 Shots? Some experts believe that a B12 deficiency is one of the most common in the world. People who are at an increased risk for becoming deficient in this vital vitamin are those who are on medications reducing their stomach content or those on prolonged antibiotic courses. Those who abstain from eating meat or meat by-products, such as vegetarians and vegans, are also at an increased risk. This is because vitamin B12 is found in grass-fed beef, dairy products, eggs, and fish. The symptoms of a B12 deficiency include fatigue, difficulty concentrating, decreased energy levels, mood disorders, pregnancy or fertility complications, and heart problems. Vitamin B12 is responsible for a variety of different body processes. Most notable among these, however, are its roles in creating new red blood cells and protecting nerves. It does also, however, play crucial roles in fetal development, metabolic conversion, and converting amino acids to make creatine. Why Methylobalamin (B12) is better than Cyanocobalamin (B12)? Reason why we only administer Methylobalamin B12 Shots! The two different B12 forms are actually very similar and the difference actually comes down to a small molecular part. While methylcobalamin possesses a methyl based group of carbon and hydrogen, cyanocobalamin is bound to a toxic molecule-cyanide. Cyanocobalamin is not natural; in fact it cannot be found anywhere in nature and is actually created in the laboratory. It is used far more commonly by supplement manufacturers because producers can buy it in bulk at a very low cost. According to most experts, the best form of vitamin B12 is the natural methylcobalamin. This is actually the form of vitamin B12 which already exists in nature rather than being synthesized in a laboratory. Because it is natural, it is immediately ready to be used by your body and has several advantages compared to cyanocobalamin which include the following. 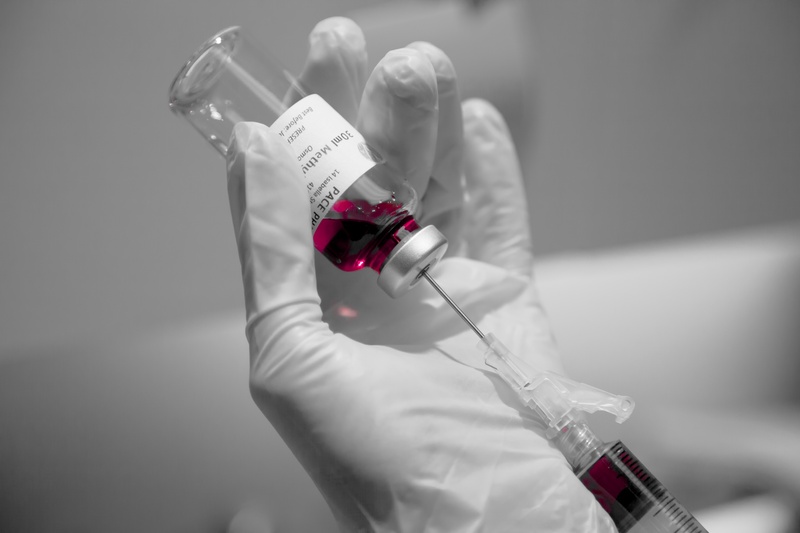 Before the Injection: Before you can get B12 injections it is necessary to check your current levels. While low levels of B12 can cause significant health issues, so can an abnormally elevated level. If your vitamin B12 blood levels are found to be deficient or on the low end of a normal range, then B12 shots can be safely administered. The Injections: The shots are administered into the muscle tissue of buttocks. From there, it will slowly be absorbed by the body over the course of the following days or weeks. The exact dosage of B12 you would need will depend on a variety of factors. In addition to current levels in the body, the correct dosage will be made after considering your age, size, and whether you have existing health conditions that make absorption of B12 into the bloodstream difficult. After the Shots: The shots are painless and take only a minute. Side effects are rare but include redness, bruising, and swelling at the injection site. Patients typically feel a burst of energy directly after a B12 injection, although not always. Energy levels do increase when supplementing this vitamin, however. You can make an appointment to receive your next B12 injection before leaving the office. Why Not an Oral Pill? Many people find themselves wondering why they should receive B12 injections instead of simply taking an oral supplement or multivitamin. The answer is simple: the injections work better. When the vitamin is injected into the muscle tissue, it is absorbed into the bloodstream much easier (and at a higher velocity) than were a pill or capsule to be absorbed through the stomach or intestines. This makes it a much better choice for those seeking a quicker increase in levels – including those with significantly deficient blood levels. Vitamin B12 Methylcobalamin 1,000mcg– energy booster and it’s among the most important of all B-complex. Helps metabolism of fats and carbohydrates. Helps growth healthy blood cells, nerves cells, and protiens in the body. Lipotropic shots- Clients you these shots for weight loss, increased energy, detoxification, and mood enhancement.